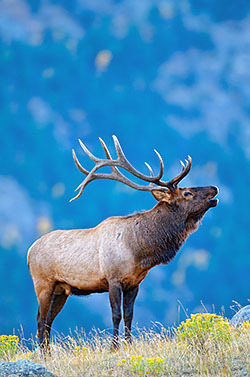 What kind of Wildlife can you expect to see? One of the most common questions I get regarding wildlife is what we can expect to see. Well, after years of guiding I have been able to compile some real statistics of what we see on wildlife based tours. If your tour is not wildlife centric then your chances of seeing these animals is greatly reduced. Some changes over the last decade worth sharing are Moose sightings have increased especially on the eastern side of the park with chances still low but possible in the Spring where before that was extremely rare. Sheep sightings have gone up year round. Coyote sightings have declined by a third likely due to the impact of the Wyoming Ground Squirrel population collapse in part due the 2013 floods. The overall chances are year round. The notes detail special times of year that your chances of a sighting increases dramatically, or the range of times the animals are seen due to season or hibernation. Population listed are estimated numbers in the park. Populations greyed out are extremely common numbering in the many thousands in the park. *Only during June - early Sept. There is a large variety of other small mammals not mentioned here like Golden Mantled Ground Squirrels, Mountain Cottontails, Wyoming Ground Squirrels, and various great birds that we see on a regular basis. We see them nearly every single day they are active. *Currently Rocky Mountain National Park does not have Wolves or Grizzly Bears, though in the past we used to. Wolves may one day return to Rocky. 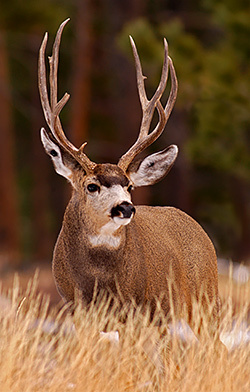 There are a number of species that do occur in Rocky Mountain National Park that we rarely see. Generally we only see these species a few times a year because they are nocturnal or avoid human activity. They include Pine Martins, Red Foxes, Pocket Gophers, various Bats, and Raccoons. If you are on a tour where you are lucky enough to see one of these animals then you have had a truly unique experience very few guests get to see.